A recent fire at an Iowa state building knocked out Internet services for most of the state recently. According to the Des Moines Register, the majority of services were restored by the next morning, including access to state websites, email, communication platforms and applications. The remaining offline systems are set to come back online within the next day. The news source reported that the outage was most likely caused by an electrical suppression unit failure, which caused heat and smoke and triggered the fire suppression system at the Hoover Building data center in Des Moines. This event comes shortly after the National Security Agency's data center electrical fires reported last year. 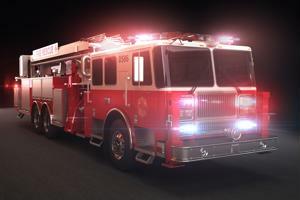 The Salt Lake Tribune stated the local fire department have been "frequent visitors" to the Utah facility due to electrical fires and other related issues there. As data centers support a host of critical online services, a fire which causes downtime can be very damaging, not only to the facility, but to those utilizing the resources the structure supports as well. In this way, it is key that data center operators ensure that cooling systems that remove excess heat created by servers and IT equipment are working properly. Following these events, many organizations have investigated different cooling techniques. Douglas Alger, author of "The Art of the Data Center," told TechTarget that a rising trend in the sector is the use of liquid cooling, which is currently being deployed by a number of groups, and others have plans to deploy such technology in the future. Tom's IT Pro reported that liquid cooling capabilities are becoming increasingly efficient due to advances in fluid and thermodynamics. One example is the Chilldyne Cool-Flo negative-pressure liquid cooling system being tested at the California Institute for Telecommunications and Information Technology at the University of California. The technology is a rack-based, direct-to-the-chip arrangement that can reduce power consumption by 25 to 35 percent. Data center organizations have also been focused on fire prevention practices, and one group recently noted the growing installation of fuel cells as part of these efforts. GigaOM stated that Equinix deployed the fuel cells for sustainability and resiliency, as well as to prevent fires within its data center. "The company says the Fuji Electric fuel cells produce nitrogen-rich air that can fill buildings and help prevent fires," GigaOM stated. In addition to these strategies, data center organizations can also utilize temperature monitoring systems to oversee the server room temperature and ensure that cooling arrangements are functioning correctly.